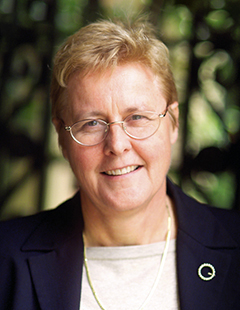 Rachel Webster is an astrophysicist and international leader in the field of gravitational lensing. She has developed a range of innovative applications, and discovered the first quasar microlensing event. Webster has used lensing to resolve the inner regions of quasars near black holes, providing international leadership in the development of new techniques. In addition, Webster led the first all-sky survey for galaxies rich in neutral Hydrogen, establishing the benchmark for these studies internationally. More recently, Webster initiated and guided Australian participation in experiments to detect the first stars in the Universe, building a new low frequency radio telescope as a precursor to the Square Kilometre Array (SKA).